Waratahs forward Ned Hanigan says Australian Super Rugby sides will not be forced to endure another 40‑match losing streak against Kiwi opposition. In a winless run that spanned over three separate seasons, Australian teams were on the losing side in 40 consecutive matches against New Zealand opposition. That ended last season when the Waratahs managed a 40‑12 victory over a 14‑man Highlanders side in Sydney. However, with Australian Super Rugby sides now consolidated from five teams to four, Hanigan is confident that Kiwi sides won't be as dominant as they once were in trans‑Tasman affairs. 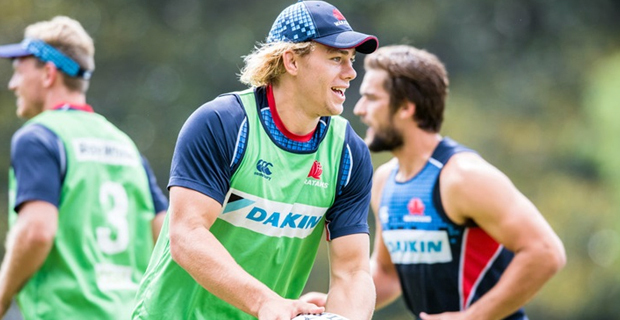 The Waratahs will host the Hurricanes at 8.45pm this Saturday. Meanwhile, the Chiefs will play Highlanders at 6.35pm Friday, the Brumbies will play the Rebels at 8.45pm Friday while defending champions the Crusaders will play the Blues at 6.35pm Saturday.